The American Civil Liberties Union (ACLU) of Texas, ACLU national, Texas Civil Rights Project, Lawyers’ Committee for Civil Rights Under Law, and Demos filed a lawsuit in Galveston federal court Monday on behalf of four advocacy groups to block the state’s ongoing investigation to remove reported non-U.S. citizens from the voter rolls. 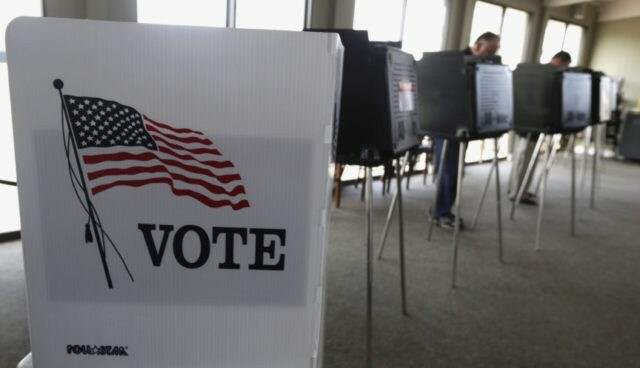 The plaintiffs — MOVE Texas Civic Fund, Jolt Initiative, League of Women Voters of Texas, and the Texas State Conference of NAACP Units — accused Texas Secretary of State David Whitley, Elections Director Keith Ingram, and elections officials in five counties — Galveston, Caldwell, Blanco, Fayette, and Washington — of targeting voters for review using “inaccurate or outdated” data. However, Texas Secretary of State spokesman Sam Taylor recently indicated otherwise, saying they “are very confident” the citizenship data they used is current. The 46-page complaint alleged the state intentionally discriminated against minority voters by advising counties to verify citizenship. It asserted this violated individual civil rights protections under the First and 14th Amendment to the U.S. Constitution and the Voting Rights Act of 1965. Last week, Breitbart News reported the League of United Latin American Citizens (LULAC) sued Paxton and Whitley in San Antonio federal court, alleging the voter roll cleanup effort suppressed Latino voters through intimidation and violated the Voters Rights Act. Over the weekend, the Mexican American Legal Defense and Educational Fund (MALDEF) announced they sued Whitley, Paxton, Governor Greg Abbott, and Galveston County Tax Assessor Cheryl Johnson on behalf of a group of naturalized citizens and civil rights groups, calling the state’s investigation “baseless.” MALDEF alleged the defendants “singled out naturalized citizens” for “possible removal from the voter rolls” only because these individuals “were born outside the United States. The complaint, filed in Corpus Christi federal court, alleged state officials “conspired to violate” the plaintiffs’ protections under the U.S. Constitution and the Voting Rights Act. In the latest lawsuit, the ACLU called the noncitizen voter roll cleanup an “unlawful purge of the voting rolls that, by design, will target and threaten the voting right of eligible naturalized citizens and people of color.” It accused Texas of previous “tactics to suppress” voting and said Whitley “denied to include safeguards” for individuals who later became citizens so they would not end up on “his Purge List.” It also said Whitley since backtracked on the number of noncitizens on the voter rolls. A press release issued Monday by the ACLU of Texas advised the complainants sent Whitley a pre-litigation notice letter demanding he halt the noncitizen voter probe within 90 days or “face additional legal challenges” under the National Voter Registration Act of 1993, better known as the “Motor Voter” law. The Public Interest Legal Foundation (PILF), a national integrity law firm, commented on three lawsuits over Twitter Tuesday. Texas regularly prosecutes voter fraud. In 2018, Paxton’s election fraud unit tried 33 defendants for a total of 97 election fraud violations, including noncitizen voter cases. Last week, Paxton announced the arrest of Bernice Annette Garza, a noncitizen, indicted for using a dead person’s identity to vote illegally in the March 2016 Democratic primary election in Starr County. The AG’s office will prosecute this case. The case is Move, et.al. v. Whitley, et. al. (3:19-cv-00041), filed in the U.S. District Court for the Southern District of Texas—Galveston. A copy of the complaint is embedded below.